If you’re anything like me Easter not only heralds the start of an annual chocolate binge how to get diabetes 101 but also the start of a breakfasts filled with deliciously sweet and spice Hot Cross Buns served with lashing of butter. So, if you’re bored with chocolate eggs? 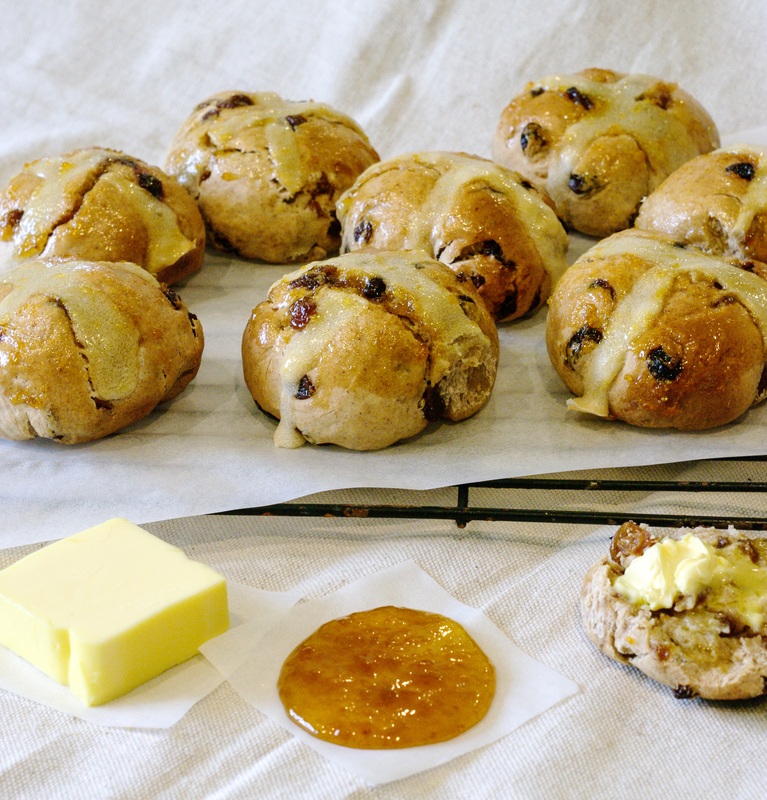 Why not bake my apricot glazed Hot Cross Buns on Easter morning and you’ll be a hit with family and friends. These golden, fruit-filled buns are rippled with Apricot Jam and finished with an Anathoth Farm Apricot Jam glaze making them a perfect freshly baked treat for any Easter gathering. Combine the milk mixture, 1/3 cup of Anathoth Farm Apricot Jam, butter and egg in a jug and whisk to combine. Combine 4 cups of flour, salt, mixed spice, cinnamon, remaining sugar and mixed fruit in a bowl and stir to combine. Make a well in the centre, pour in the milk mixture and use a wooden spoon to stir until just combined, then use your hands to bring the dough together. Preheat a fan-forced oven to 180°C. Punch the dough down with your fist to remove excess air. Turn dough onto a lightly floured surface and knead for 2-3 minutes or until dough is smooth and elastic. Divide dough into 16 even pieces and shape each portion into a ball. Arrange dough portions on an oven proof pan, leaving a 1cm gap between. Set aside in a warm, draught-free place for 30 minutes or until dough has risen 2cm. Meanwhile, mix the remaining flour and water together in a small bowl until a smooth paste forms. Place in a small plastic bag such as a sandwich bag and snip off the end. Pipe a continuous line down the centre of each row of buns, lengthways and widthways, to form crosses. Bake in preheated oven for 10 minutes. Reduce heat to 160°C and bake for a further 20 minutes or until golden and cooked through. The buns are ready when they sound hollow when tapped on the base. Turn onto a wire rack. Place the remaining Anathoth Farm Apricot Jam in a small saucepan over high heat. Cook, stirring, for 2 minutes or until jam melts. Brush hot jam over the buns. Serve warm with butter and your choice of Anathoth Farm jam.